File 770 has covered a lot of Lovecraft-related beers. But if you’re a Tolkien fan, where is the beer for you? Well, Massachusetts’s Night Shift Brewing has come out with Second Breakfast, a Baltic porter. 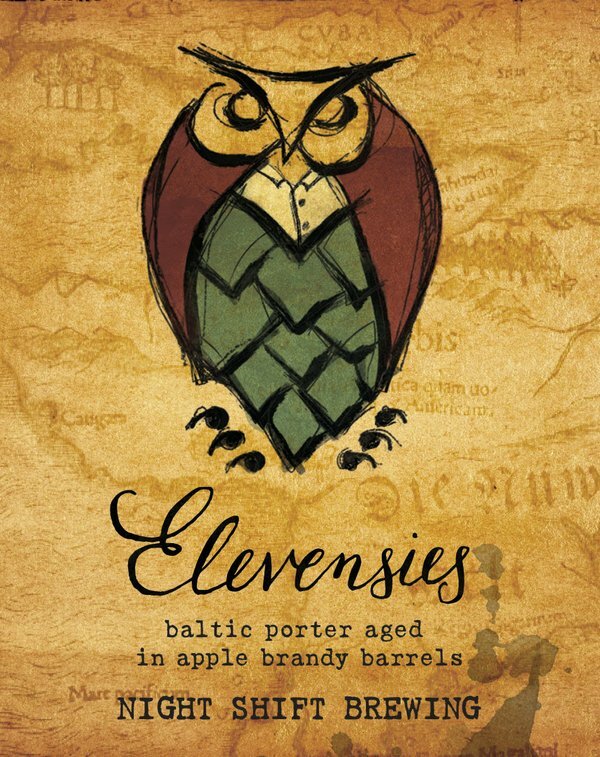 They then barrel aged that beer in brandy casks and came up with Elevensies, a very limited edition. Or if you’re a George R.R. Martin fan, Ommegang has a new release in their Game of Thrones line: Seven Kingdoms Hoppy Wheat Ale, which was released this month to coincide with Season 6. Seven Kingdoms follows the re-release of the first two Game of Thrones-inspired beers, Iron Throne Blonde Ale and Take the Black Stout (fall 2015 and spring/fall 2013), Three-Eyed Raven Dark Saison (spring 2015), Valar Morghulis (fall 2014), and Fire and Blood Red Ale (spring 2014). Due to the popularity of this series of beers, Seven Kingdoms will be brewed at 3.5 times the volume of the first beer released in spring 2013. It will be available nationally in March 2016 on draft and in 750ml bottles for the suggested retail price $9.99 per bottle. This entry was posted in Heard Online and tagged Game of Thrones, J.R.R. Tolkien by Mike Glyer. Bookmark the permalink. I thought the British term was “elevenses”, note “elevensies”? Native speakers? Yeah, it should be “elevenses.” “Elevensies” sounds like something from a jacks game (except those usually only go up to tensies).